There’s no denying that it’s bittersweet to be back in the routine of work and life and schedules. 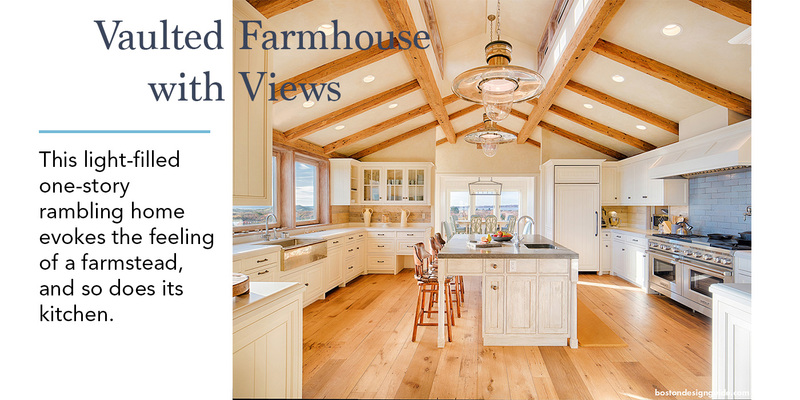 But, as sad as it is to say good-bye to the days of rosé, sunshine and sandy feet for some time, fall is a great time to harness that back-to-school energy and drive that is ingrained in us, and dig in to a great home project. 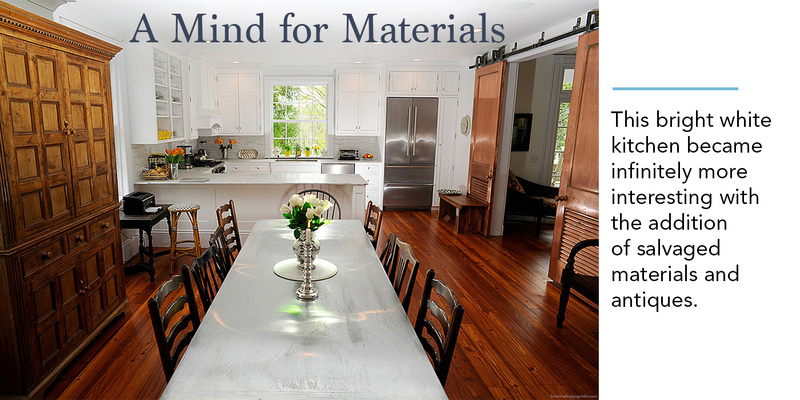 So long as you are back to the grind, we’ll give you one more thing to think about: a kitchen renovation for your vacation home. This is precisely the time to plan and launch a kitchen project for your home away from home, and we’re plating up plenty of food for thought. 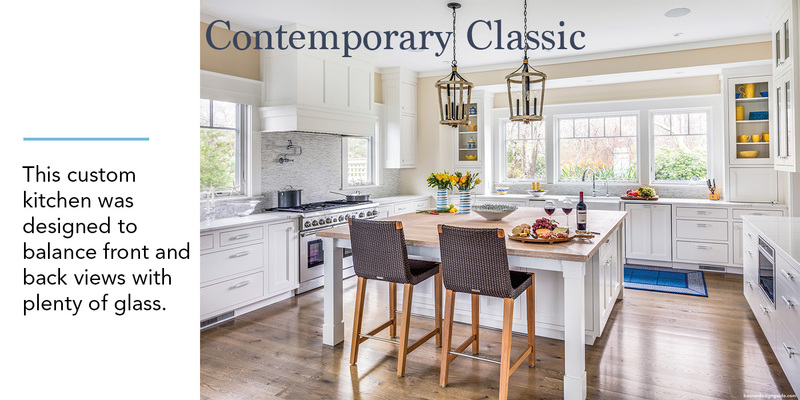 The following designs represent styles by BDG’s top-tier pros, along with some highlights of each kitchen. We hope these ideas jumpstart a kitchen makeover of your own—in plenty of time for a Memorial Day reveal. TAKE NOTE OF: 1) Muntin-free picture windows The vistas of Chilmark, Martha’s Vineyard, are invited in, without interruption or obstruction. 2) A warm mix of wood Exaggerated window casings, honey-colored exposed beams and knotty softwood flooring unite for an appealing effect. 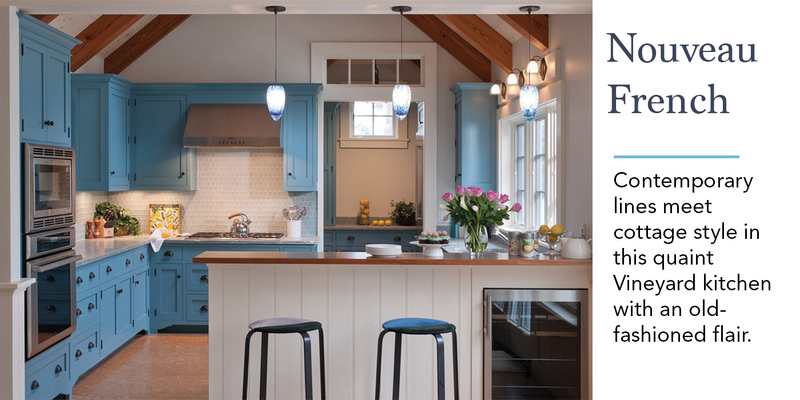 3) An inspired color palette Creamy millwork and paint and a sparkling copper apron sink are offset by a dose of blue-gray tile on the backsplash, which draws in the cooler tones of the meadow, sea and sky. TAKE NOTE OF: 1) The custom-made island Designed by LDa Architecture & Interiors, the centerpiece of the room has a waterfall edge, oak wood stained to look like walnut and subtle shiplap detailing. 2) Soft and soothing materials Caesarstone countertops and Blue Glass Mosaic Tile by DiscoverTile create a chic and peaceful backdrop. 3) Lighting A triptych of buoy pendants over the island gives the space a mariner’s vibe and adds interest. 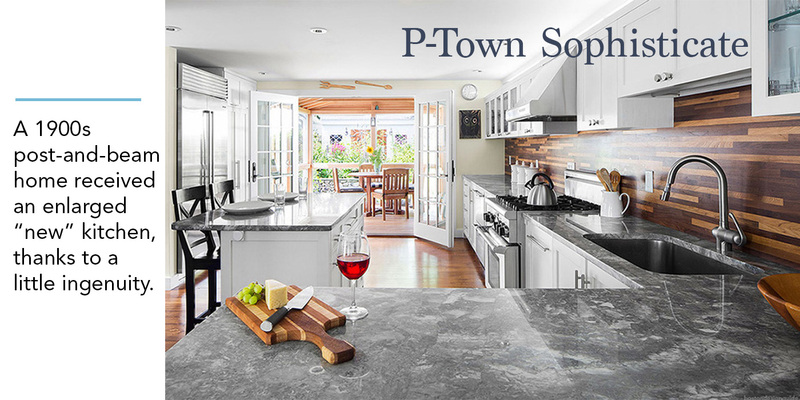 TAKE NOTE OF: 1) Refrigerator drawers Easy-access, double refrigerator doors live to the left of the cooktop, increasing counter space and freeing up floor space. 2) The wood backsplash Cape Associates’ millwork shop fashioned a stunning custom backsplash in stacked walnut and butternut. Antique pine floors were stained to echo the darkest hue of the pattern. 3) The flow Via French doors, the kitchen spills right into the screened porch and garden beyond for seamless, alfresco living. 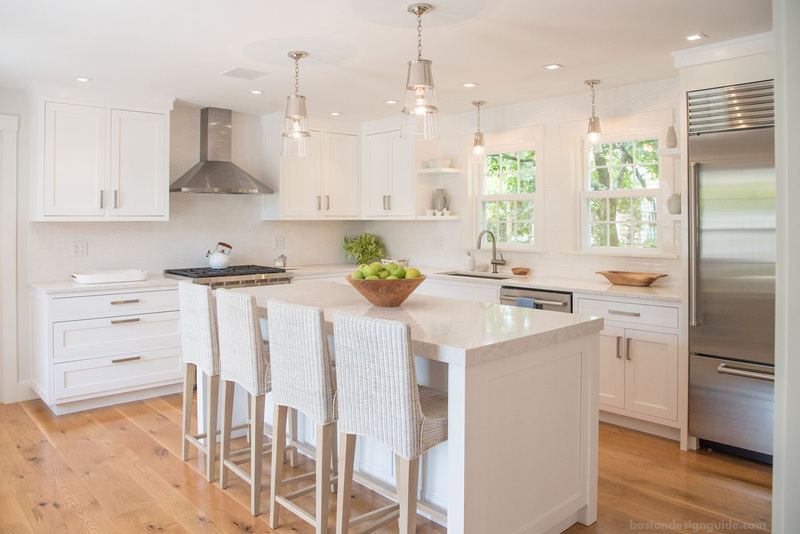 TAKE NOTE OF: 1) Glass-fronted cabinetry The clear-faced cabinetry adds a little shine and light to the space, and spotlights the items within. 2) Range detailing The flourishes of the hood over the stove impart a more formal flair, as does the intricate basket-weave backsplash. 3) Woven rush seating Unexpected barstools make the overall look a touch more relaxed. 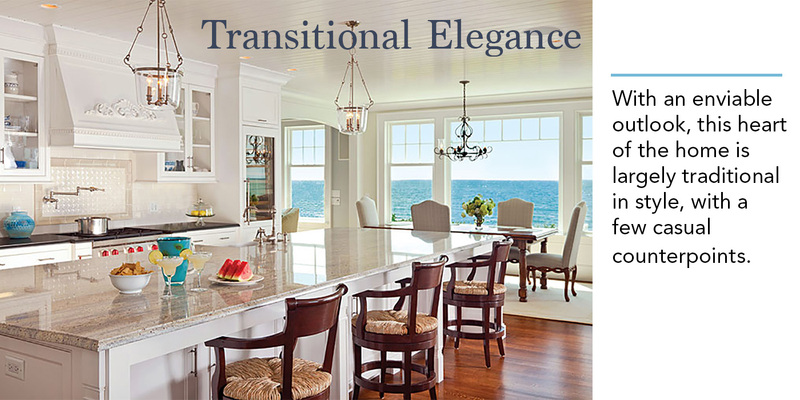 TAKE NOTE OF: 1) The peninsula Topped in honed white marble, this U-shaped counter divides the eat-in kitchen and dining room into the cooking and dining realms. 2) Copper doors Salvaged from the Museum of the City of New York, these sliding copper doors were cleaned and polished by Rock Pond Kitchens and perfect for the 1836 home. 3) Mix-and-match chairs The chairs surrounding the striking zinc table are intentionally mismatched, to “relax the room, and make it friendly and inviting,” says owner Paul Lazes. 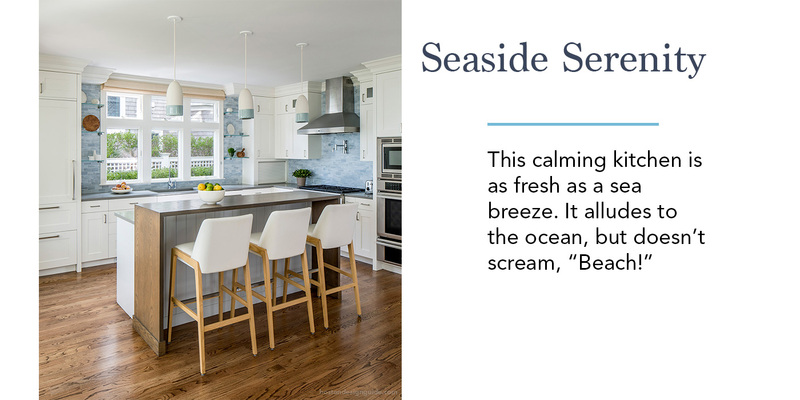 TAKE NOTE OF: 1) Classic seaside detailing Soft water hues coexist with crisp white trim and shiplap, which extends off the living area, to adorn the walls, backsplash and decorative alcoves. 2) Maximum storage Custom cabinetry for barware, serveware and other entertaining essentials abounds, including help-yourself beverage and snack drawers in the adjacent bar area. 3) Thoughtful circulation The open-concept space is integrated with the living area and expansive deck, and has a mudroom access point that is great for unloading groceries. 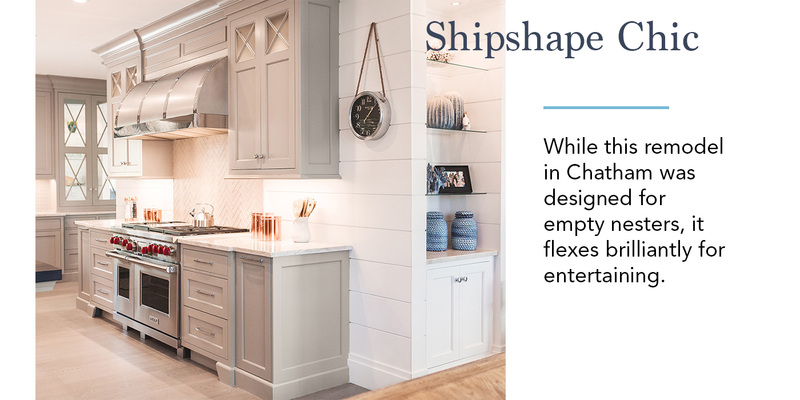 TAKE NOTE OF: 1) Throwback charm and modern amenities High ceilings and re-sawn heart pine rafters keep the small-scale kitchen from feeling cramped, while today’s appliances (like the beverage fridge in the island) offer modern-day conveniences. 2) Bespoke cabinetry The craftsmanship of Crown Point Cabinetry is accentuated by Farrow & Ball’s mood-lifting “Cook’s Blue” paint. 3) A separate pantry This out-of-the-way space stores the refrigerator, canned and dry goods, and has access to the backyard and outdoor shower.